Forge Motorsport Boost Tap for the Ford Mustang 2.3 Ecoboost and the Mk3 Focus RS. This adaptor plate is installed between the boost (MAP) sensor and the mounting surface. 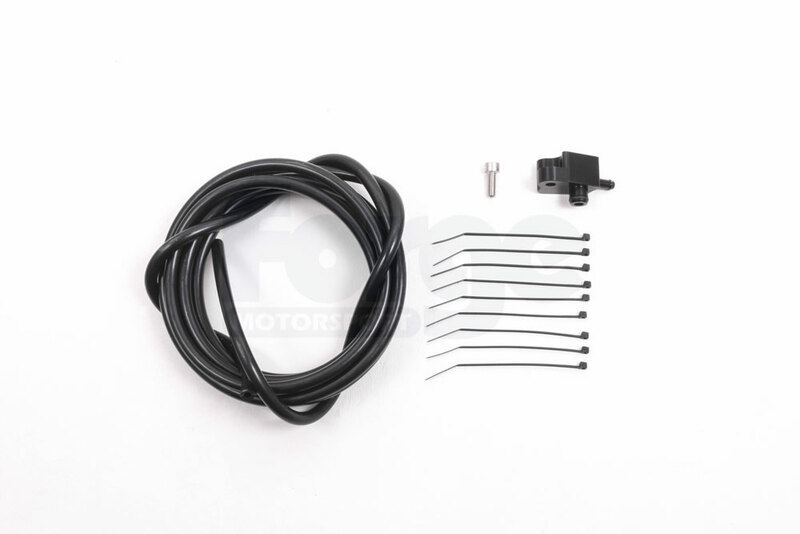 This allows a tap to run a vacuum operated valve or for connection to a boost gauge. The Pumaspeed Workshop team are ready to fit the Forge Boost gauge fitting kit for the 2.3 EcoBoost in our Head Office located here. Therefore making parts and labour a total cost £119.88 (inc. VAT). Pumaspeed have a specialist distribution team that can dispatch the Forge Boost gauge fitting kit for the 2.3 EcoBoost to any destination worldwide.